All what I write here are protected by copyright law, and I am solely responsible for all its contents. You can read yesterdays comments and featured articles from different news dispatches by clicking yesterday's Front Page. 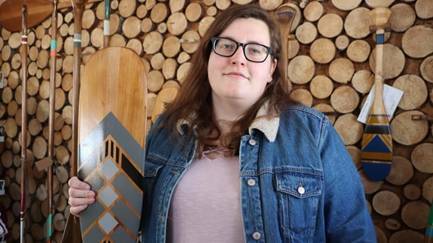 Check the News from "That side of the world"
By Julia Page · CBC News - Caitlin Barter did not have an exhaustive strategic business plan when she launched her paddle-painting business in 2016. She simply wanted to decorate her room with her grandfather's old canoe paddles. "Anybody who knows me knows that I am terribly nostalgic — for all things home, especially." So nostalgic, in fact, Barter purchased a deconsecrated church in her hometown of Cascapédia-Saint-Jules, a small town south of the Chic-Choc mountains. The 26-year-old will move in once the renovations are done. The new space will not only be her home — it will also allow her to expand her business, Tipsy Canoe Designs, which she started from her parents' kitchen table. "They're starting to get sick of me, so it was time to try to create a space for myself and try to get out of theirs a little bit," Barter said with a laugh. The name Tipsy Canoe Designs was inspired by Barter's own fishing trips with her father. 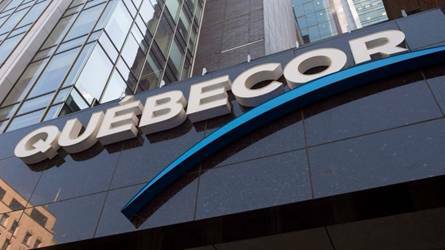 The Canadian Radio-television and Telecommunications Commission (CRTC) has ordered Quebecor to comply with its regulations. The CRTC called TVA Group to a public hearing Wednesday to explain its decision to cut the TVA Sports signal to Bell subscribers at the start of the NHL playoffs last week. The broadcast regulator found that TVA Group violated the CRTC's discretionary services regulations by withholding the signal. If TVA Group fails to comply with the order, it could face fines of up to $250,000 for the first violation and $500,000 for each subsequent violation. Should it again withhold or interfere with the TVA Sports signal before the dispute with Bell is resolved, TVA Sports will have its licence automatically suspended for the duration of time that the signal is not provided to Bell Canada. Quebecor head Pierre Karl Péladeau says future of TVA Sports in jeopardy if Bell gets its way The CRTC created a rule to protect Canadians from losing access to television services during commercial negotiations between broadcasters and television service providers. "The CRTC is very concerned by TVA Group's actions," said Ian Scott, chair of the CRTC, in a statement. "Not only are their actions a serious violation of our regulations, but hundreds of thousands of Canadians were deprived of a channel to which they are subscribed." "Holding a licence is a privilege, not a right," Scott said. TVA Group has argued Bell is not paying a fair price for its service. At the hearing Wednesday, Quebecor owner Pierre Karl Péladeau pleaded for equitable rates, saying the fate of TVA Sports is at stake. Look, who's been writing to us - Letters, Opinions, & Whatever - Click here to check it out! Systems Trouble Shooters, Computer and Monitor Fix plus Website Management. Problem with your computer system but afraid too expensive to fix? Well, relax, call or e-mail us for assistance at traderspoint@sympatico.ca If you already have a website, which cost too much to maintain we can show an easier and simpler way of website management, no need to hiring "Expensive Experts" and for your network communications, we have expertise and experience to "remotely" help you run it smoothly and updated regularly. Affiliates Around the World Welcome. Nirav Modi, whose jewellery was worn by Priyanka Chopra-Jonas, is accused of defrauding an Indian bank. A billionaire Indian diamond trader, whose jewellery was worn by the likes of model Rosie Huntington-Whiteley and actress Priyanka Chopra-Jonas, has been arrested in the UK . Nirav Modi is wanted for his alleged role in India 's largest ever bank fraud, totalling some $2bn (£1.5bn). He left the country in early 2018, and has not returned to India since. Mr Modi, 48, was arrested in central London on Tuesday, and is due to appear in court on Wednesday. 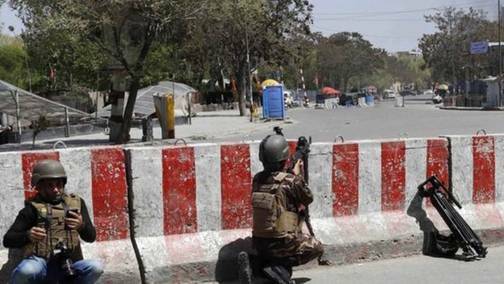 Police said the arrest had been made on behalf of Indian authorities, who have asked for his extradition. Mr Modi's case was thrust back into the limelight after a British newspaper found him living in an £8m ($10.5m) London flat. The Telegraph questioned him near the Oxford Street apartment in early March 2019. It is thought Mr Modi - who disappeared in February 2018 - had reportedly been in the British capital since at least June. Within days, officials confirmed that UK Home Secretary Sajid Javid had certified India 's extradition request, initially made last August. He is due to appear before Westminster Magistrates Court , which issued a warrant for Mr Modi's arrest this week. The arrest comes at an interesting time in India , where people will start voting for their new MPs in the next few weeks. A successful extradition could boost the ruling BJP's standing in the polls. From the section India Who is billionaire jeweller in fraud probe? Full article Billionaire celebrity jeweller held in UK Who is India's scandal-linked billionaire? Alejandro Andrade, head of Venezuela 's treasury under President Chávez, receives a 10-year sentence. A court in the United States has sentenced the former head of Venezuela 's treasury, Alejandro Andrade, to 10 years in prison for money laundering. Andrade, 54, had pleaded guilty to taking $1bn in bribes in exchange for offering access to preferential foreign currency exchange rates. He has been living in Florida , where he owned jets, mansions, 17 show-jumping horses and a fleet of luxury vehicles. He will be jailed on 25 February. His sentencing comes as Venezuela is in a crushing financial crisis which has led to three million Venezuelans leaving the country, according to figures released by he United Nation's Migration Agency. The FTSE 100 and the Cac 40 have fallen to their lowest levels since April, while the Dax is at its lowest since early 2017. European stocks were sharply down in morning trade after concerns about a trade war and higher US bond yields stoked global investor concerns. In London , the FTSE 100 index of leading UK shares was down more than 1.7% at 7,020. Markets in Asia had plunged to a 19-month low after US shares suffered their worst losses in eight months. The global sell-off came as IMF head Christine Lagarde said stock market valuations have been "extremely high". In Paris , the Cac 40 share index was down 1.6% at 5,122 points, while in Frankfurt the Dax index fell nearly 1.5%. The FTSE 100 and the Cac 40 have fallen to their lowest levels since April, while the Dax is at its lowest since early 2017. The celebrity plastic surgeon vanished after a woman died following buttock enhancement injections. A celebrity Brazilian plastic surgeon known as Dr Bumbum has gone on the run after a woman died following injections he gave her to enlarge her buttocks. 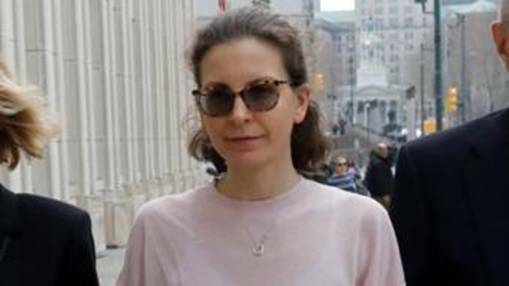 Investigators say Dr Denis Furtado carried out the procedure on Lilian Calixto at his home in Rio de Janeiro but she fell ill during the procedure. Dr Furtado took her to a hospital where her condition worsened and she died some hours later, police said. He then disappeared and a judge has issued a warrant for his arrest. Dr Furtado, 45, has appeared on Brazilian television and has nearly 650,000 followers on his Instagram account. Ms Calixto, a 46-year-old married mother of two who worked in banking, had travelled from her home in Cuiaba , central Brazil , to undergo buttock enhancement by Dr Furtado on Saturday evening, reports said. The procedure, believed to involve the injection of acrylic glass filler, took place at his apartment in the upmarket district of Barra de Tijuca. How safe is the cosmetic surgery boom? Does cosmetic surgery really make people feel better? Scientists have developed a blood test that could pick out which men with advanced prostate cancer would benefit from a new drug treatment. The test detects cancer DNA in the blood, helping doctors check whether precision drugs are working. Cancer Research UK said the test could "greatly improve survival". But larger studies involving more men needed to take place to confirm if doctors could rely on the test, the charity said. Blood samples from 49 men with advanced prostate cancer were collected by researchers, as part of the phase II clinical trial of a drug called olaparib. This type of precision drug is seen as the future of cancer medicine but because it is a targeted treatment, the drug does not work for everyone. Researchers from The Institute of Cancer Research and the Royal Marsden NHS Foundation Trust said the test could help target treatment better and also reduce its side effects. They used it to identify men who were not responding to the treatment in four to eight weeks and also to pick up signs that the cancer was evolving and becoming resistant to the drugs. 'Major impact' Prof Johann de Bono, consultant medical oncologist at the two organisations, said: "From these findings, we were able to develop a powerful, three-in-one test that could in future be used to help doctors select treatment, check whether it is working and monitor the cancer in the longer term. Few of us know how to act around a very sick person. And yet, what we say (and don’t say) makes a huge impact. Here are some practical skills for caregivers, family members, and anyone else who wants to make a meaningful difference in a very difficult time. By Walter St. John, Ed.D. 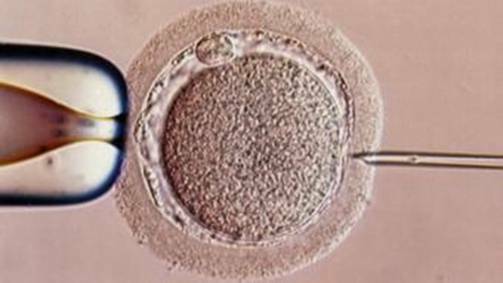 Milestone in medical human 'cloning'? The Seven Medical Beliefs that's not true Medical myths 'debunked' Survey shows contraception myths TV ad 'busts heart attack myth' 'Medical myths' exposed as untrue Drink at least eight glasses of water a day We use only 10% of our brains Hair and fingernails continue to grow after death Reading in dim light ruins your eyesight Shaving causes hair to grow back faster or coarser Mobile phones are dangerous in hospitals Eating turkey makes people especially drowsy.
" Six Simple Ways to Use Storytelling as Teaching Tools." Furthermore, you are twenty times more likely to remember information if you learn it in a story than if you learn it simply as data to memorize. In part, the more stories we encounter, the more effectively our brains learn to work within the structure that most stories follow. We not only absorb the stories' contents, but at the same time, our brains get used to organizing what we learn into a usable form. We learn how to learn through stories. Other brain researchers have found that different parts of the brain kick in when we encounter a story that comes with a visual image, such as on a TV or computer screen, versus when we encounter a story for which we fill in the visuals with our imaginations, as when we read alone, are read to, or listen to an audio. These different parts of the brain link with different forms of creativity, visualization and imagination. They even help us build the ability to empathize with other people by "visualizing" ourselves inside characters. We must "exercise" these different parts of the brain in order to acquire these skills, so introduce stories to a child through a mix of technologies. 1. Start with picture books when your child is very young. Reading to children not only offers the value of the book's contents, but also visually demonstrates that you value books, which reinforces your child's interest in reading. Read aloud to your child, or try telling a story you already know in your own words, as you turn the pages. This allows you to keep eye contact with your child, while offering you the security of having the book to refer to if you feel you've lost your way. 2. Introduce stories of historical or fictional people who do what they love. There are endless resources: books and web sites that tell stories of famous artists, composers, engineers, athletes, scientists, etc. You never know which one will resonate with your child and open up a lifetime passion, so offer a variety. I've had many people tell me "I'm a scientist/artist/author now because I listened to your recording about scientists, etc." 3. In addition to telling stories to your child, try to tell with her or him. First, tell an old favorite together. It gives the child a sense of mastery, particularly if every so often you ask, "What did she do then?" Next, try creating a new version by asking, "What if Cinderella hadn't dropped the glass slipper? Can we think of another way she and the prince might have found one another?" If you reach a dead-end, go back to an earlier moment of decision in the story, hae the character make a different choice, and go on from there. 5. Always consider to whom you are telling the story, and think of yourself as "translating" the intent of the story onto a level this person can understand. You can tell a story differently at different developmental stages. Think about what you most want the child to remember. Start simply with what you know, and tell it in your own words. If you make a mistake say, "I forgot to tell you that..." and go on; kids find that endearing. Another way to handle having left out a part is to say, "Now what Aunt Joan didn't know yet was that Uncle Bill had already bought the tickets." This presents the information you forgot as a dramatic element of the tale. Storytelling reinforces reading, too, and adds a rich oral language element, but it demonstrates something additional. 6. One powerfully positive element of storytelling is that it fosters a strong bond between parent and child. Through our stories, and the manner in which we choose to tell them, families and entire societies pass on what matters most to them. Children come to recognize that you are sharing your true self, not through a lecture but through a story. Your child may not retain into adulthood every single detail you taught him/her, but always will remember that, "Mom/Dad loved me enough to share what s/he thought really mattered the most." Montreal is The Best City In The World ? It's known as La Main - "The Main" - and it's the lifeblood of Montreal . For the past three centuries this sweeping avenue, Boulevard St Laurent, has shaped the character of a city in the heart of French-speaking Canada . La Main was once the symbolic dividing line between the city's French and English speaking communities, with the boulevard a soft buffer attracting and absorbing waves of new immigrants. Today, it celebrates a cosmopolitan city with its array of little villages, from the Quartier Chinois, or Chinese quarter, to Little Italy and Portugal , along with strong remnants of an historic Jewish quarter. With Asian trade and support for the monarchy rising, what does Canadian identity mean now? Seriously, ask me! : Got a question? Anything in mind that bothers you because no one seems to listen? Send them in and I will try to find the answers. Your name will be kept confidential if requested, and no one will ever know. 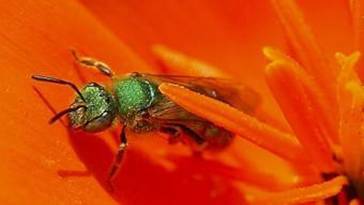 Watch for these links to open soon: What's New? What's for Sale? 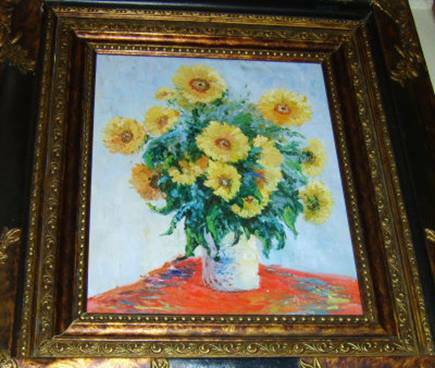 A floral masterpiece by Vincent van Gogh, painted in the closing stages of his life, sells in New York for $61.8m (£38.7m). A floral masterpiece by Vincent van Gogh, painted in the closing stages of his life, has sold in New York for $61.8m (£38.7m). Still Life, Vase with Daisies, and Poppies exceeded its estimate of up to $50m (£31.3m) at the Sotheby's auction. A 1951 piece by Swiss sculptor Alberto Giacometti fetched more than $100m (£62.7m), but fell just short of the record $104.3m (£65.3m) for the artist. A sculpture by Amedeo Modigliani set a new benchmark for his work. Tete, an elongated head created in 1911-12 from a block of limestone scavenged from a Paris building site, was sold for more than $70m (£44.2m). Van Gogh's painting was created at the French home of his doctor just months before his death in 1890 and was one of the few works he sold during his lifetime. But it fell far short of the auction record for a piece by the Dutch artist, which stands at $82.5m (£51.6m). Sotheby's said the painting was bought by a private bidder from Asia . Portrait of Dr Gachet - the physician whose flowers he captured in this latest work to sell - went under the hammer for a record in 1990. 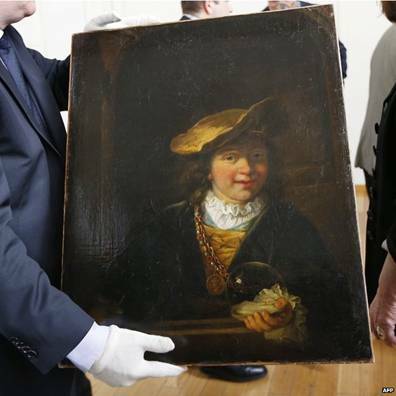 A 17th Century painting by Dutch master Rembrandt has been recovered in France , 15 years after it was stolen. L'enfant a la bulle de savon (Child with soap bubble), valued at 3.2m euros (£2.7m), was taken from a museum in the southern city of Draguignan in 1999. Two men were arrested in Nice on Tuesday, according to the Agence France Presse (AFP) news agency. Police said they received information that a transaction was due to take place in a hotel the following day. The men, aged 46 and 53, one of whom was described as a former insurer, appeared in court in Nice on Thursday, AFP said. 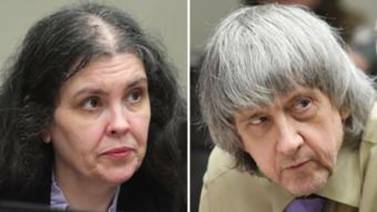 They were reported to be known to police for previous petty crimes. Police are still looking for other suspects. 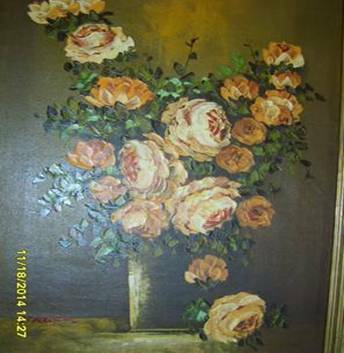 Anyone looking for this painting? 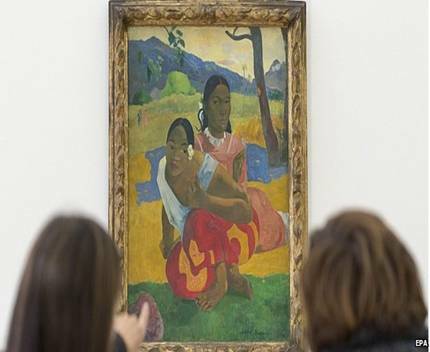 Paintings by artists including Picasso, Matisse, Monet, Gauguin and Freud have been stolen from a museum in Rotterdam . Police in the Netherlands said the works were taken from the Kunsthal Museum early on Tuesday morning. The museum is showing works from the Triton Foundation as part of its 20th anniversary celebrations. 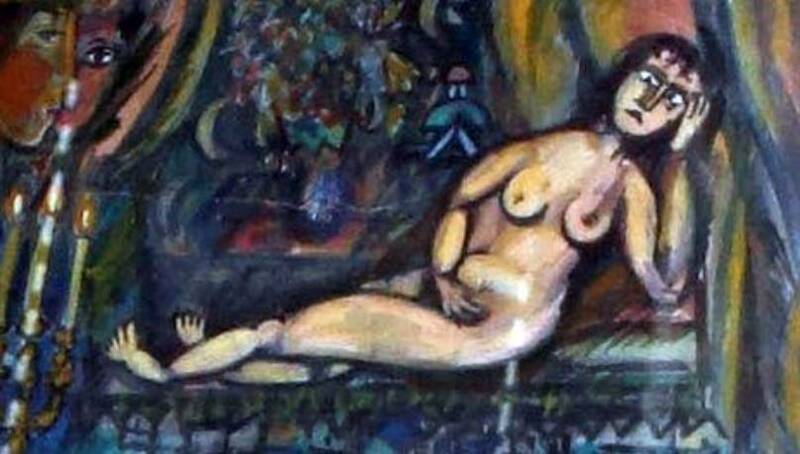 The paintings include Monet's Waterloo Bridge , Picasso's Tete d'Arlequin, Matisse's La Liseuse en Blanc et Jaune and Freud's Woman with Eyes Closed. Monet water lilies sells for $43 million Monet artwork bequeathed by reclusive heiress "Madame Leon Clapisson": The visualization (right) is produced using advanced image processing software - Conservation scientists in Chicago produce a stunning visualization of how they think a Renoir painting might have looked before its colors faded. Researchers in Chicago have produced a visualization of how they think a Renoir could have looked before its colors faded. The picture of Madame Valentine Clapisson was painted by the great French Impressionist more than 130 years ago. The original's impact has been degraded and dulled by the action of light. But by using the latest analytical tools, conservators have been able to recover a sense of Renoir's rich reds. "When we first brought this picture into the conservation studio for examination and removed the frame, we noticed that at the top and at the left-hand side there was a sliver of very intense colour," recalls Dr Francesca Casadio from The Art Institute of Chicago. 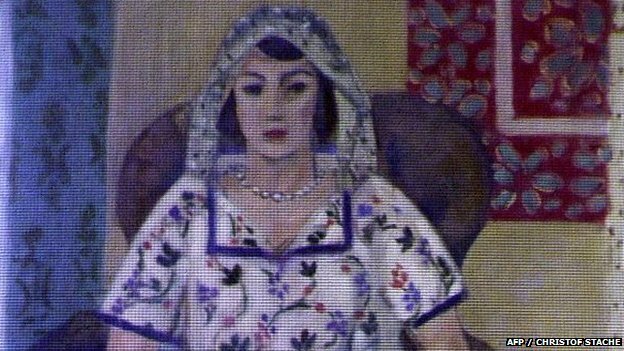 "This tipped us off to the fact that the mood of this painting that is now pretty cool and restrained with light purples and blues was once far more vibrant," she told BBC News. Buying a used car in Quebec? Check it out first, it could be owned by someone else! Important note if you have a Bank Card: If you are forced by anyone to withdraw cash from ATM machine, do not resist for your safety, enter your PIN number backward or reverse... say your number is 1234, then enter 4321. Do not worry, the machine will give you the cash but automatically alert the police. Pass this on to anyone you know. This was shown on National TV but never repeated again. Anyway, now you know. Also, if someone calls to tell you that he is from the bank investigating about a charge in your credit card, hang up and if you want to know why they phoned, call your branch to verify. That's it and if you want to read more scams click the above link. WANT TO COME TO CANADA ? Lots of restrictions has been amended on imports...sell your products and services directly to Canadian Buyers, here’s our Previous Issue of Canadian Fashion & Textile Buyers Guide, you can down load it for free but if you want the NEW and up-dated version place your order now, it's US$50 per copy payable by money order or credit card. also don’t forget to inquire about the Industry Textile Book known as The Shmata Business, used world-wide by manufacturers, designers, teachers and students, priced at US$50 per copy. Foreign Companies From Time To Time are sending us request to provide them with Canadian sales people for representation in Canada, all inquiries are welcome and there is No Service Fee To Pay, All Entries Are Treated Confidential, And Will never Be Used For Any Other Purposes Whatsoever. For further inquiry Contact The Executive Busters. Worked hard and got successful? Let's record the time of your life. If you want to document your experience but didn't have time to write, have a professional do it for you. Your story might have a great commercial value for a book or even a movie. All inquiries are treated confidential. Contact TPI Communications. Important Notice To The Tribune Viewers! We Delete Thousands of Mails Everyday! If you were to send us e-mails, please make sure your identity is properly shown including the subject you are relaying.. It’s our policy not to open attachments which also applies to all our correspondents and contributors. It is very important to note following simple payment instruction at the bottom of the rate card will facilitate posting your ad in The Montreal Tribune. Also, take note this is a family friendly website - We strictly not accepting ads on Dating Service, Multi-Level Marketing known as MLM, Pornographic Messages, and Gambling groups. Informative, Innovative & Truthful. This organization is non-profit, non-political, non-sectarian, and non-racial news organization. Signed articles are the responsibility of the writers and not those of the publisher and editors of this publication.